There have been more Panda releases, EMD update and top heavy ads, which have forced Google to upgrade its capabilities particularly in the world of SEO. Here are some of the expected updates that Google might be making in the world of SEO. You might have heard or suspected some of them earlier, while others might still be controversial. 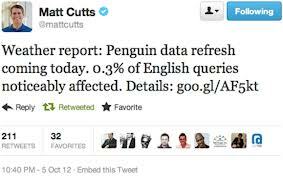 As you might know that Google launched the "data refresh" update in the last year, to the Penguin spam fighting algorithm which effected searches made in different languages. Google is working more to discourage artificially created anchor text. Penguin was launched to better catch sites deemed to be spamming its researched result. 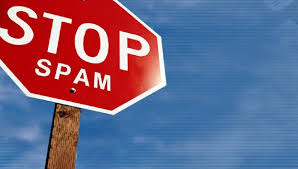 The site mainly aim to remove bad links such as through Google Disavow links tool or to remove spam to regain ranking, since then there is been panic in some quarters about getting links removed, but it is not at all removing all links. It’s about removing bad links. Another good way to distinguish an expert document from the other is expected to be achieved by the search engine. Apart from the findings about the web page origination and their interlinks, it will be identified that which page is a spam and which can be trusted to share and exchange links with. Spam filled sites obviously receive few links from trusted websites. Keeping in mind the importance of any possible updates made by Google and construct probable predictions in coming future, you can subscribe to a blog on twitter which is owned by the Google;s head of the Webspam team, which will tweet for any possible updates under the column of 'Weather Updates'. This can be very beneficial for the bloggers who hunt for hot gossip from or about Google. 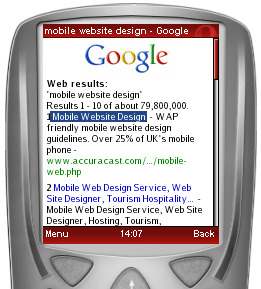 Particularly for the companies that are entirely web based and depend heavily on the internet traffic, it is strongly suggested to implement mobile SEO for their websites as major predictions reveal that by the next 2 years, more then half of the internet traffic will be generated through cell phones. Having legit content on desirable topics and valuable subjects automatically drags for you the referral links. You should embark on topics that people want to read, which can be determined by use of keyword search tool, and build reputation out of quality content and ultimately increase inbound backlinks. If there is one thing that Google can be easily questioned about, it is the Microdata which define the quality of your site by defining the additional information’s about the content to the search engine. As microdata is scaled to play an important role, Google will be soon adopting a system that has better quality measures to determine this task. 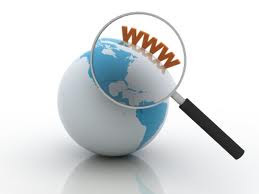 It is clearly evident that there has been a significant increase in the information that a person can access through internet. It might now be wrong to predict that people will start taking initiatives and decision on the basis of visual or non-visual data that they retrieve from the internet making it a home consultant for themselves. Thus information be structured in such a way that it becomes easy for the user. As mentioned earlier, that dramatic turnovers in the world of search can be expected in the coming years. So for all the bloggers out there, it is imperative to adapt themselves to this constant changing environment of search technical advancements to make a name in the blogger's world. BloggingeHow | Making Blogging Simpler: What Is Google SEO set to offer in 2013 ?